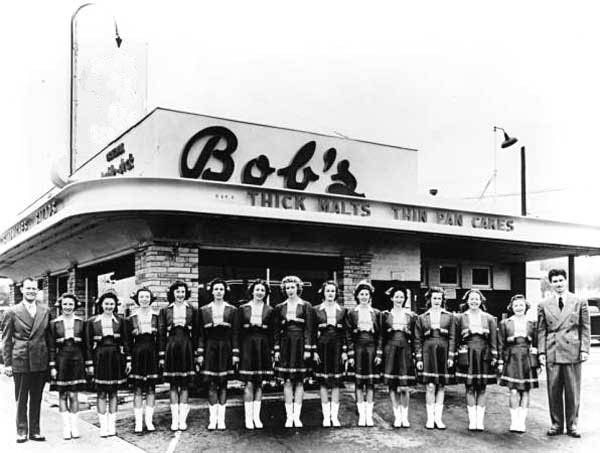 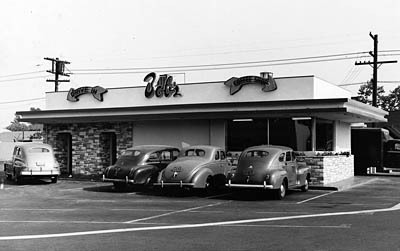 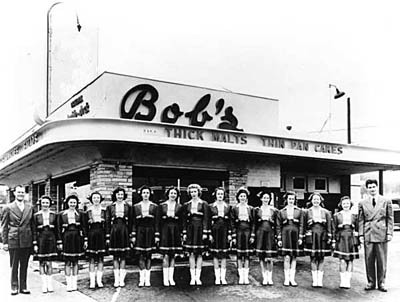 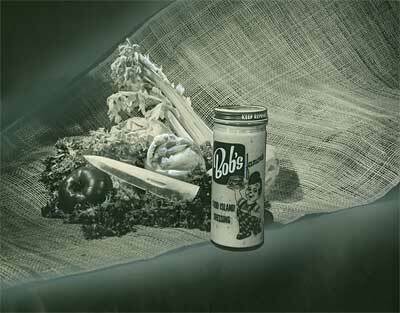 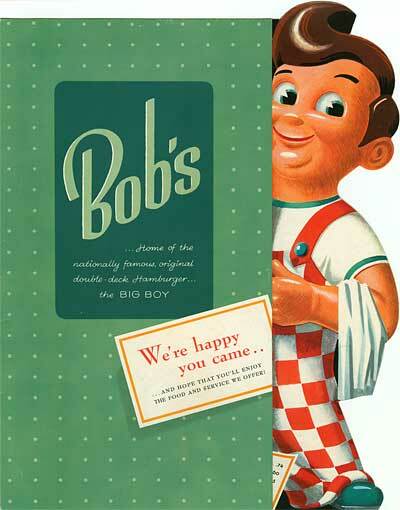 In 1936, entrepeneur Bob Wian opened a small lunch stand. 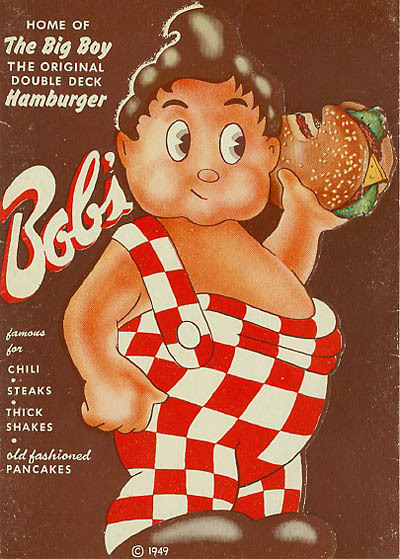 He had a brilliant, yet slightly devious idea for a hamburger. If he took a standard hamburger bun and sliced it down the middle twice, instead of once… and if he took a standard hamburger patty and divided it into two small patties… he could create a double-decker hamburger that appeared to be larger than the average without costing him any more to make. 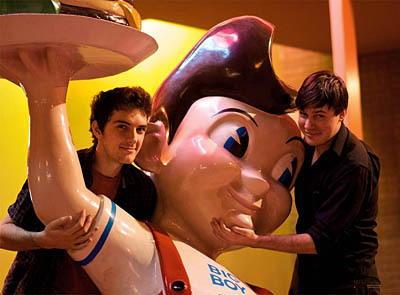 He named it the "Big Boy". 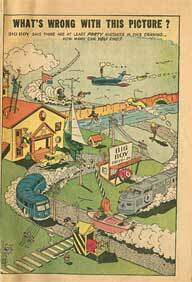 One day, animator Benny Washam was lunching at Wian’s stand, doodling on placemats. 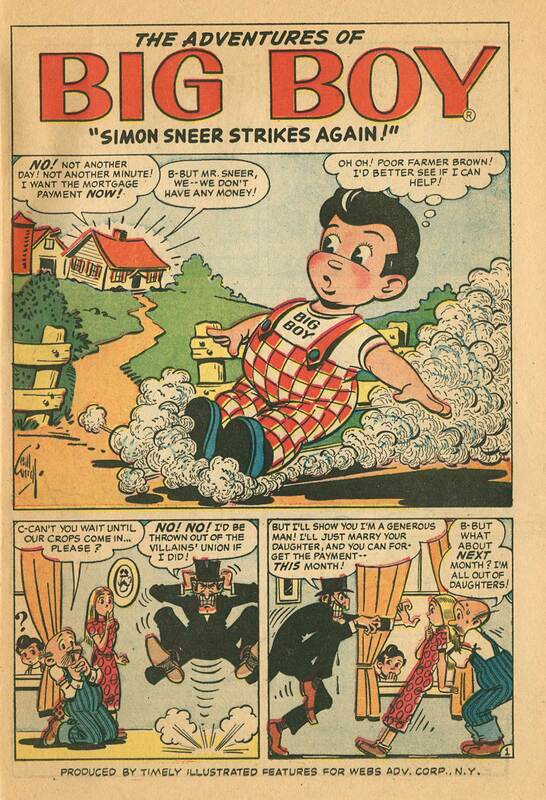 Wian saw that he was a cartoonist and asked him to draw a caricature of Richard Woodruff, a chubby, apple cheeked boy who helped out at the stand sweeping up after school. 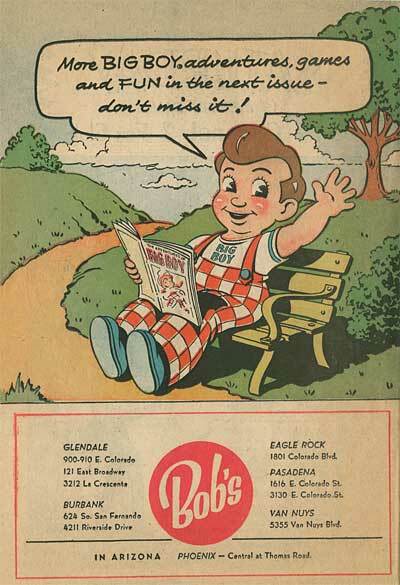 Washam obliged, depicting the lad in oversized checkered overalls munching on a burger. 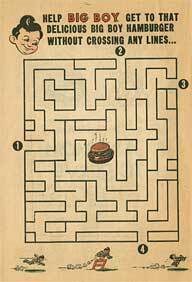 Wian loved the doodle and gave Washam his lunch for free. 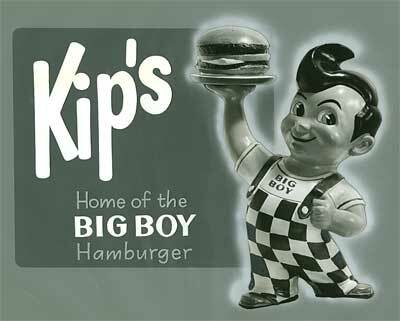 Bennie gave the sketch to Wian to use as a mascot for the stand. 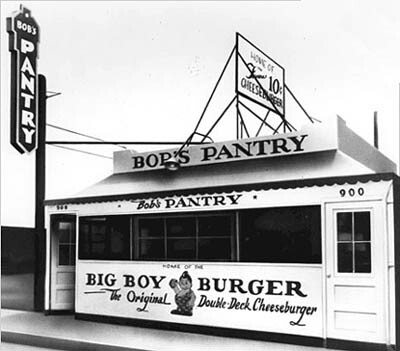 Wian turned the caricature into an empire, branding not only his hamburger stand, but a line of sauces and spices and a franchised chain of family restaurants that eventually covered the entire country. 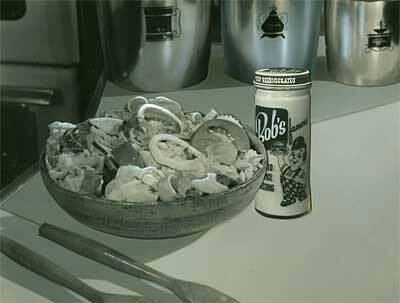 A cutened version of Washam’s doodle was plastered all over the menus, signage and television advertising. 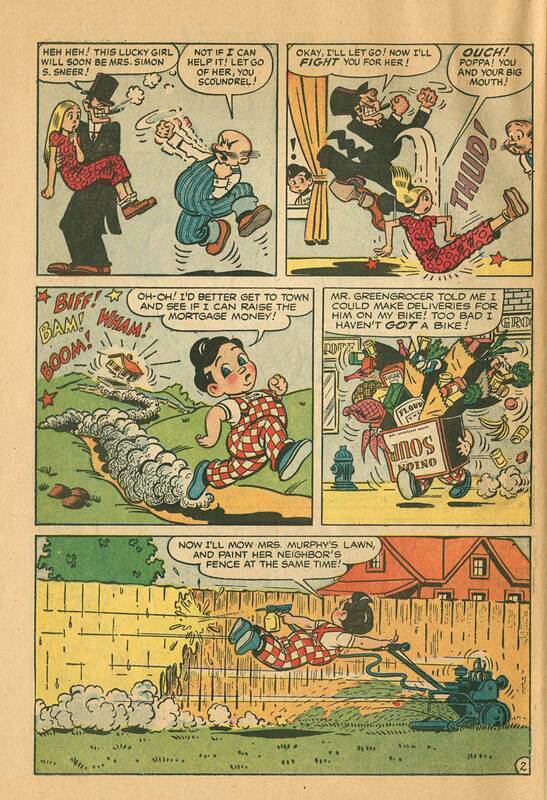 And cartoonists, like assistant archivists, Alex Vassilev and JoJo Baptista! At the restaurants, Wian gave away free comic books featuring the character. 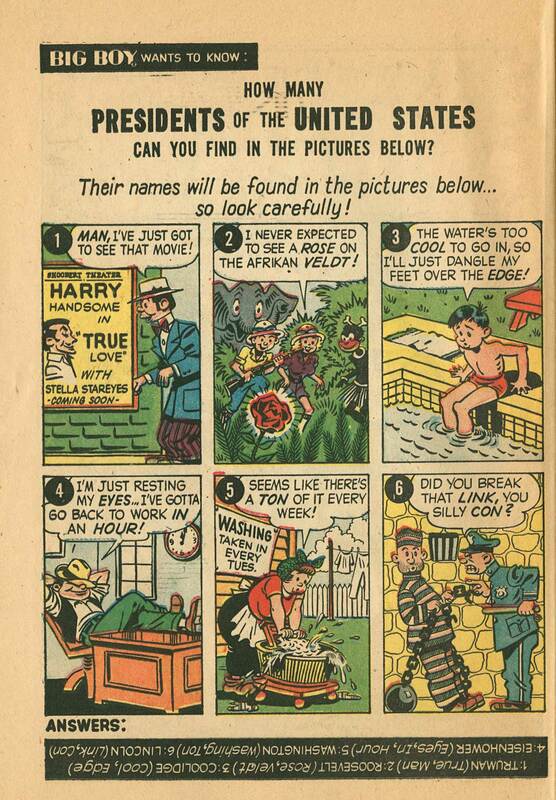 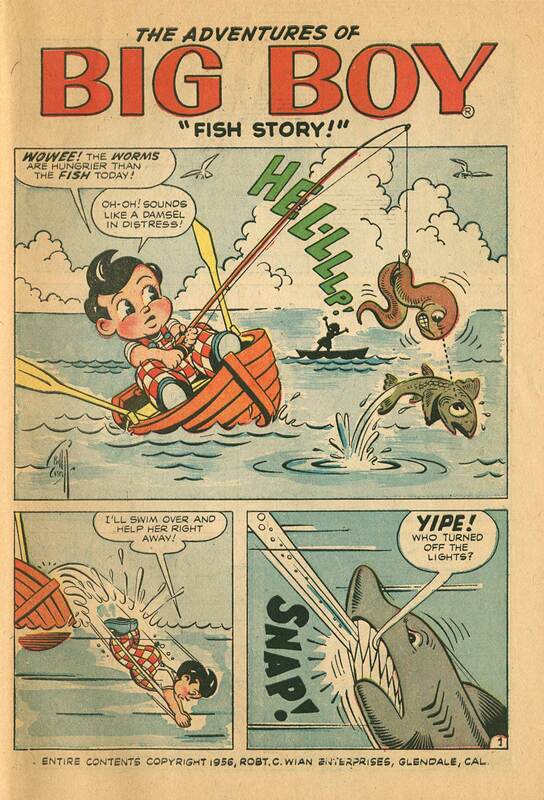 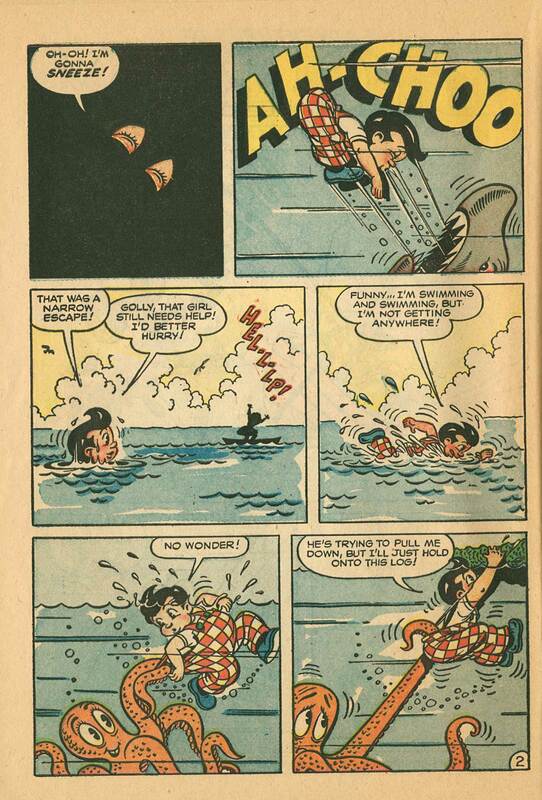 Here is an extremely rare example… Big Boy comics number one from 1956. 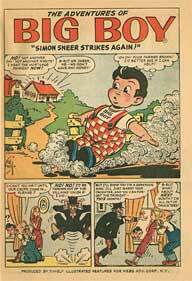 These comics were produced by Timely Comics, which later became Marvel. 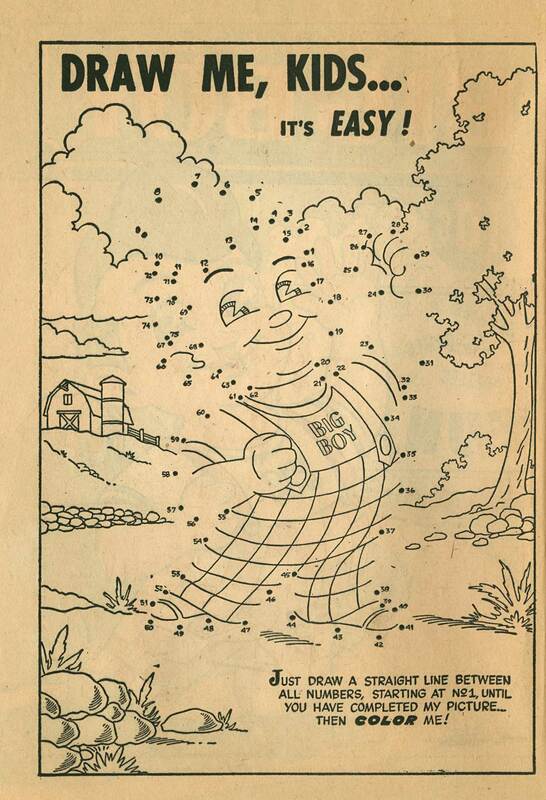 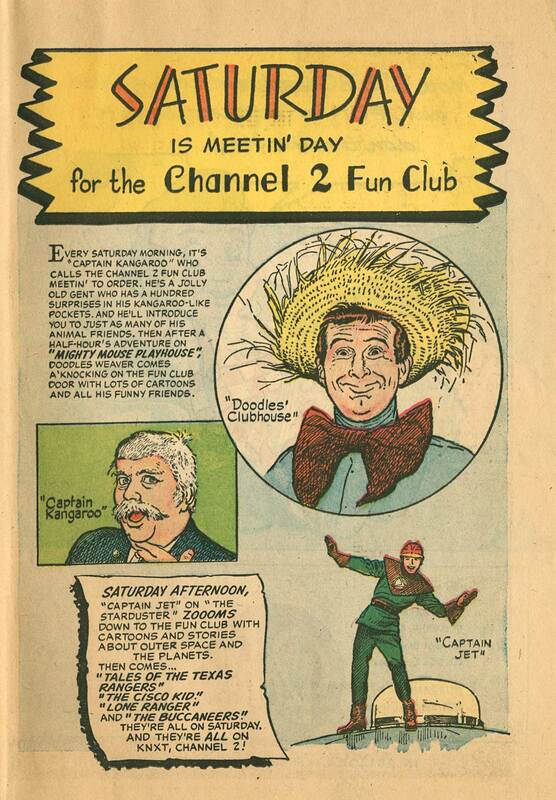 They were written by Stan Lee and drawn by Bill Everett. 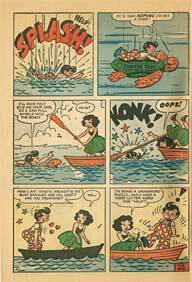 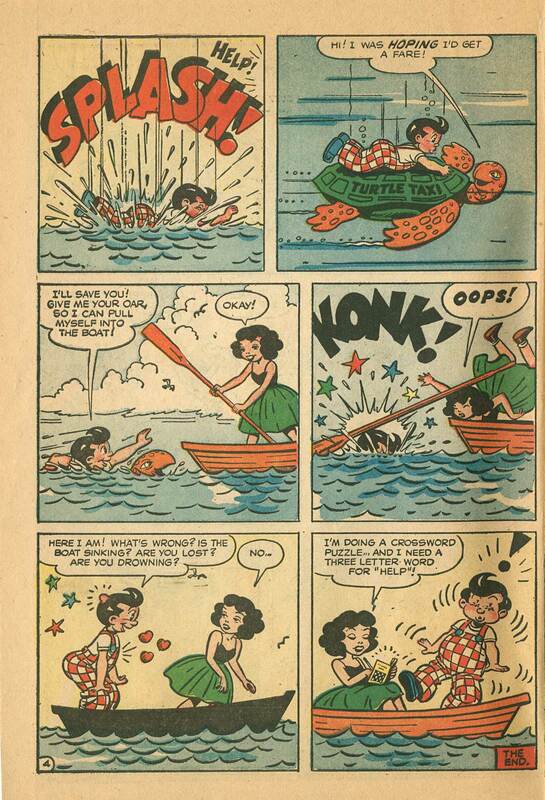 Later issues featured the work of Archie comics artist, Dan DeCarlo. 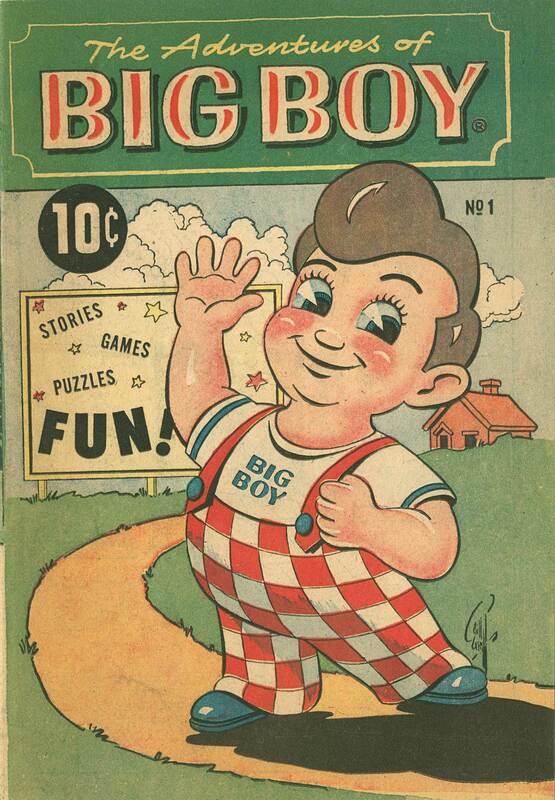 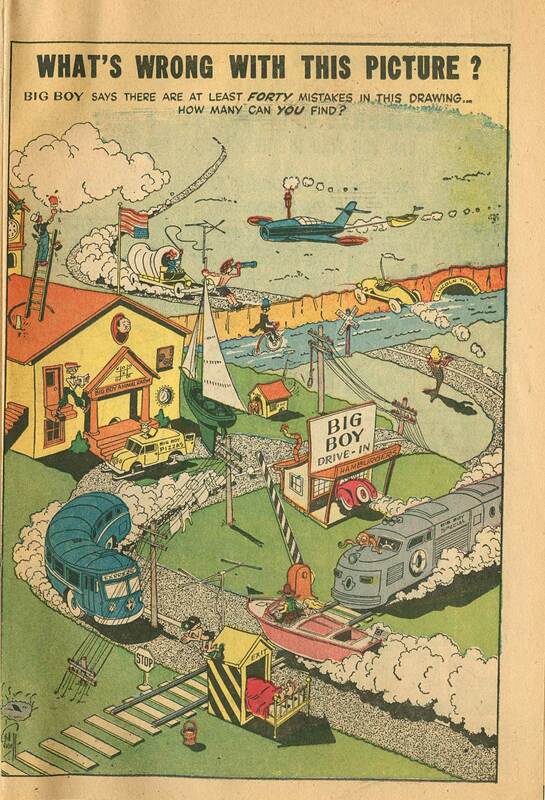 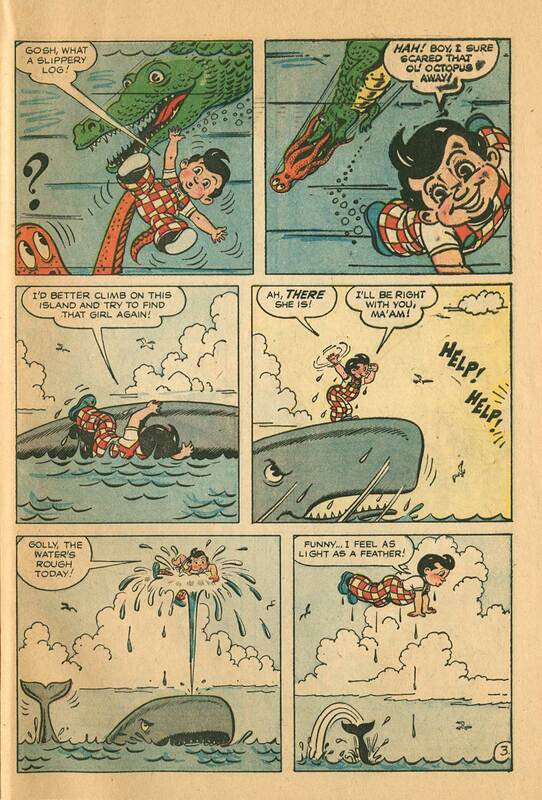 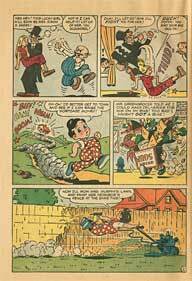 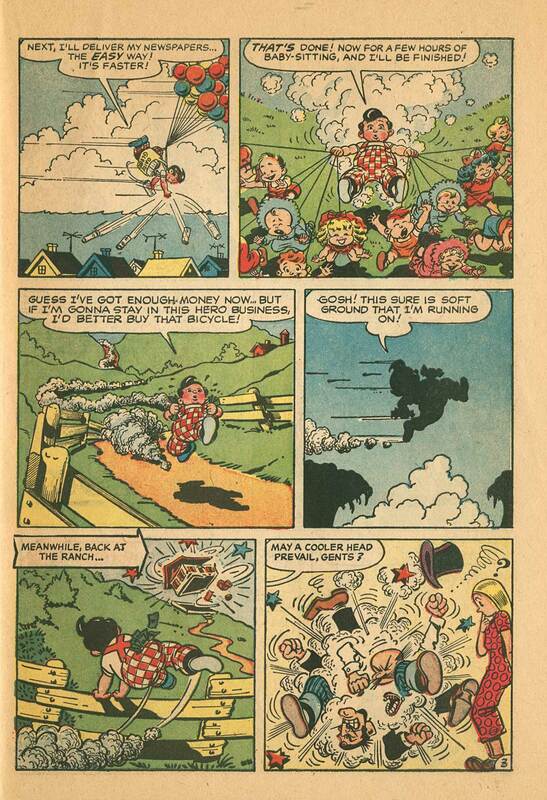 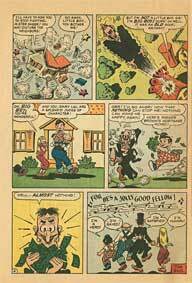 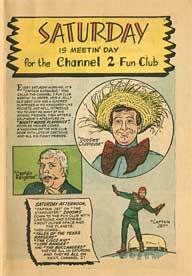 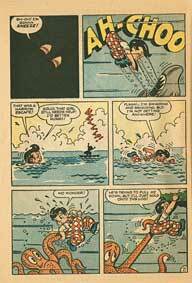 Adventures of the Big Boy is one of the longest continuously running comic book lines. 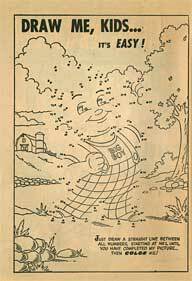 It’s still being produced fifty years later. 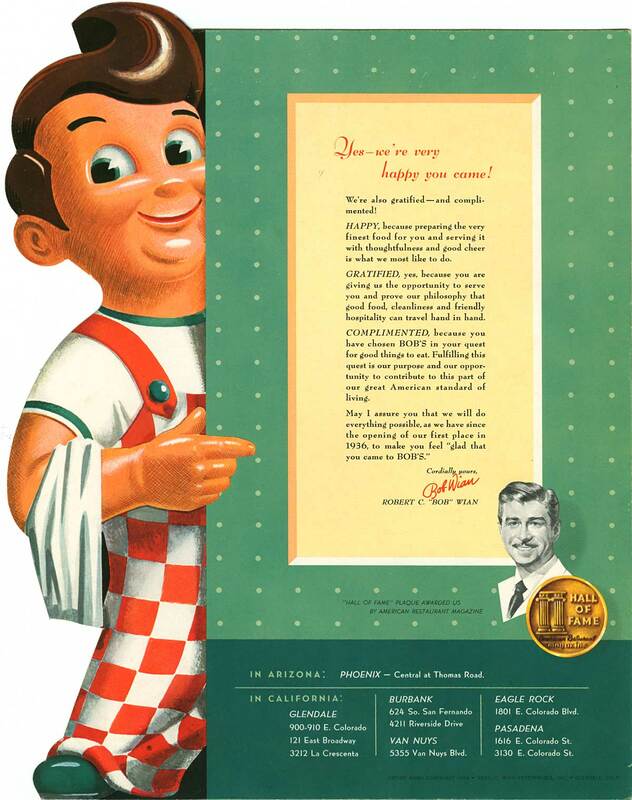 Years later, when Big Boy had become a familiar figure to the entire country, Washam admitted to his fellow artists at Warner Bros that he was the cartoonist who had created the character. 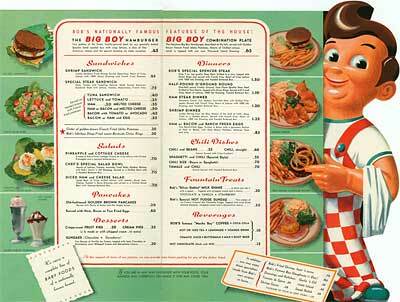 They laughed and teased him, saying, "Benny, you should have been heir to a hamburger fortune, but no! 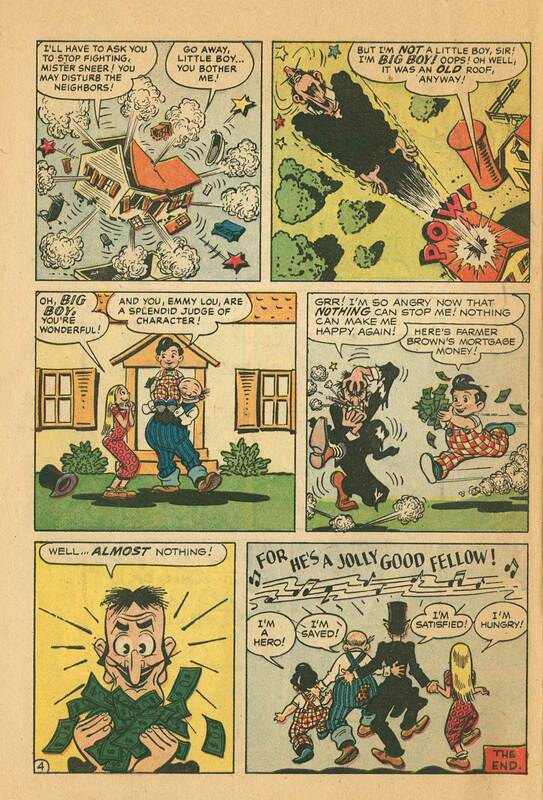 Your lot in life is to toil day and night making animated cartoons!" 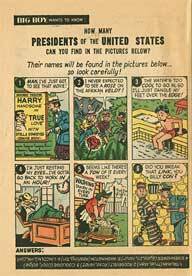 They were joking, but there’s an element of truth in it. 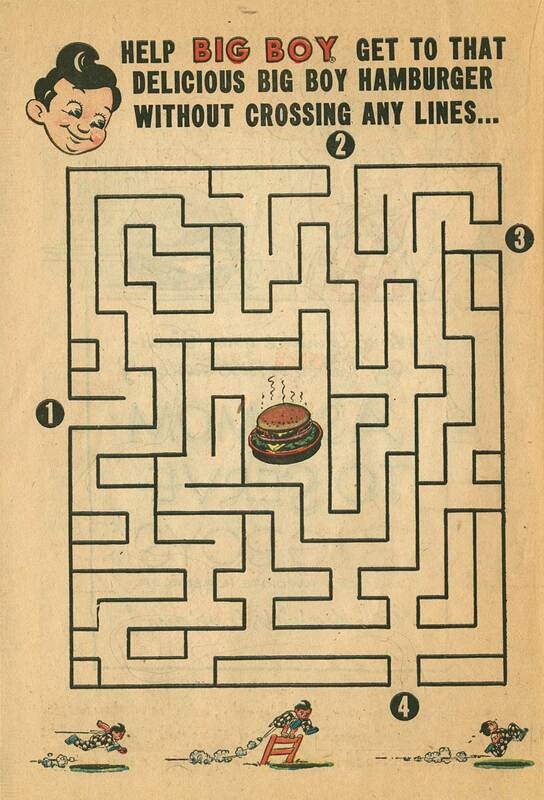 Never underestimate the power of a doodle. 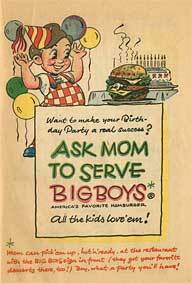 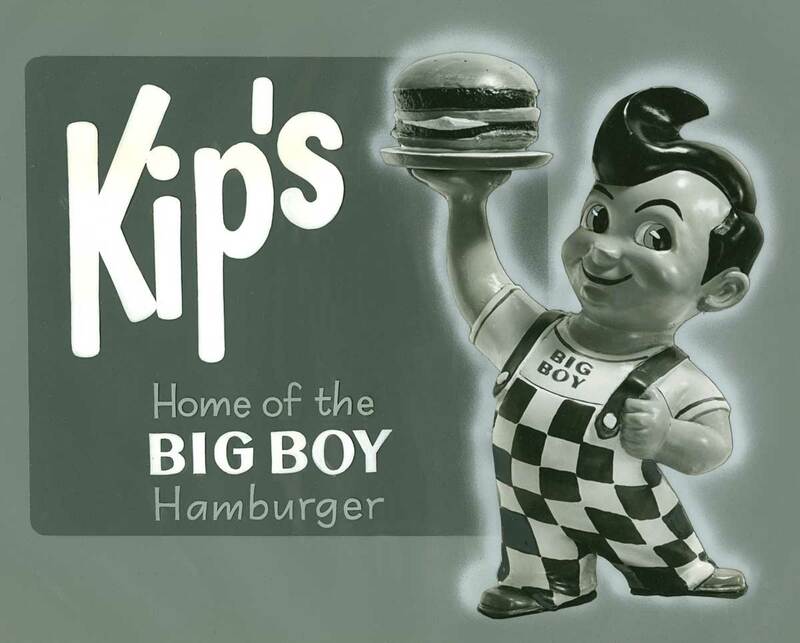 The Big Boy sketch that Washam traded away for a free meal in 1936 ended up selling millions and millions of dollars worth of hamburgers. 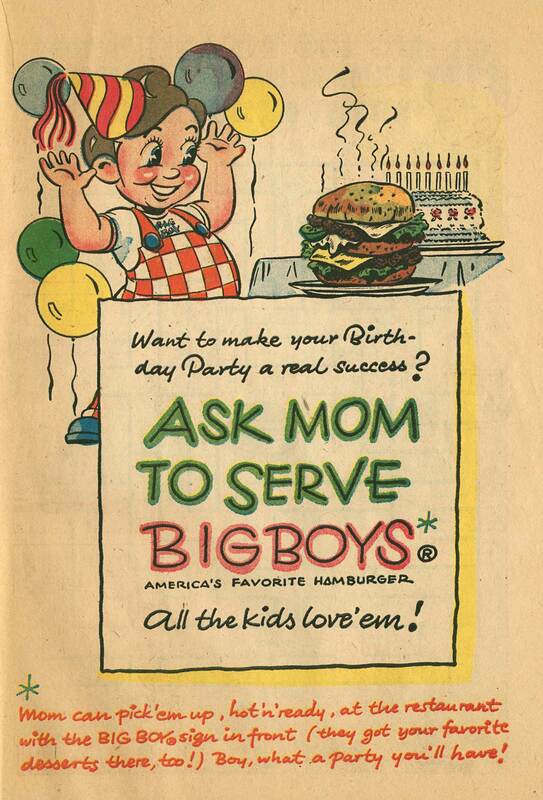 If you would like to see more Big Boy comics, let me know in the comments. 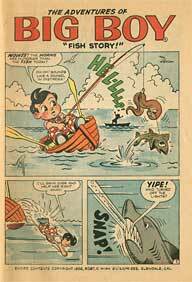 This entry was posted on Thursday, May 10th, 2018 at 10:31 AM	and is filed under big boy, comic book, licensing, theory.